When seventeen-year-old Jade Reynolds witnesses a violent clash between a protesting tree sitter and a local logger, she runs as far as she can from the battles that plague her home and from the mysteries of the redwood forest. But the ancient redwoods are embedded in her psyche--she feels their call even in the dark and forgotten back alleys of Portland, Oregon where she's hiding out. She soon becomes entangled with a lovable misfit and a band of radical slackers, environmentalists, and anarchists, and finds herself living 100 feet high in the canopy of a redwood grove, trying to decide whose side she's on: the logging community she's known her entire life or the environmentalists who are risking their lives for the future of the forest. To find a way beyond the division between Us and Them, Jade turns to the ancient trees themselves--and the thread-thin web that connects us all. 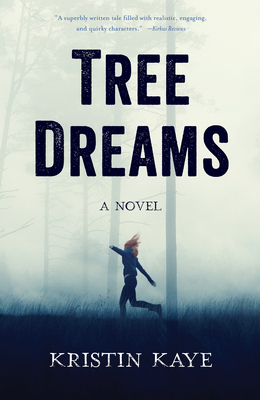 Tree Dreams is an eco-literary, coming of age novel relevant for teenagers and adults alike, for this rite of passage asks the same of us all--whatever our age or life stage, we each must discover our one true voice, and learn how to offer it to the world.